If your business receives and sends snail mail on a regular basis and is concerned about its security or you need to ensure your personal mail is protected then a locking mailbox could be a great option. Incredibly, it doesn’t require a key, and the user can still enjoy its capability of preserving physical mail with complete safety. As instances involving theft of sensitive business information rise, there can’t be a better time to get a few lockable, secure mail boxes than now. As per the USPS (United State Postal Service), locking mail boxes are quite versatile as postal officers find it easy to put the mail in through their doors or slots. The first designs came on the horizon back in 2001. Today, locking mail boxes are categorized among the essential security components that individuals and businesses use to protect the confidentiality of their private and corporate matters. Whether you use them for your place of business or residence, one of the locking mail box models from the list compiled below will provide you with a peace of mind in the era of increasing threats to your postal mail. What About Self-Building a Locking Mail Box? If there’s a DIY side in you, there’s no reason to shy away from giving a go at making your own security mail box. However, it’s worth mentioning that USPS has strict guidelines in place for making locking mail boxes. Honestly, to create something that complies with USPS’s guidelines and is secure can end up costing you a fair amount of money and time, without any guarantees of being able to meet a minimum standard. For those satisfied by the thought and want to proceed, then, by all means, they should do it. 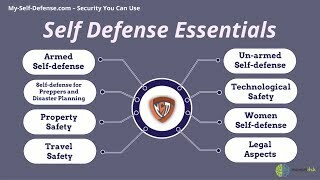 For you and everyone else who wants to avoid the hassle and prefer security above everything else, below are plenty of useful options that are already proven to be highly safe, and that meet the standards set by USPS and other governing bodies. If you want a top-notch anti-theft mail box but don’t expect to receive loads of physical packages, this smaller version from Mail Boss might be the ideal fit for your home or office. It’s USPS approved and is designed from strong galvanized steel, providing strength and durability. Plus, the anti-theft functionality in place is the same as you’d find on the larger versions of Mail Boss’s boxes. There’s also a robust anti-pry latch locking mechanism and an anti-fishing baffle for keeping criminals out. And with a 21-inch dimension, 11.25-inch height and 10.75-inch width, Mail Boss 7506 is big enough to hold a decent quantity of physical mail and some small boxes. The product comes with all the necessary hardware for installation purposes. The package includes a 12-disk wafer lock, a concealed outgoing clip, 3 keys and all the hardware needed for successful installation. If you reside in a small house and do not have a shared mailbox or a yard, a wall mounted mailbox would be the right fit for collecting your mail from right outside your doorstep. However, picking the right wall mounted box is tricky as most models leave your letters exposed to potential criminals without offering any safety. For keeping a small yet safe profile, the DVKPBZ00 is hard to beat. Besides a small-sized, easy-to-install profile that occupies little space on the wall, the Gibraltar Mailboxes Designer comes with a sleek design that can fit right at home with a variety of home decors. This locking mail box has a medium capacity. Hence, it is capable of holding days’ worth of snail mail at a single time. Also, it’s crafted with market leading galvanized steel for durability and strength. Moreover, the DVKPBZ00 is powder-coated in a beautiful Venetian finish (bronze color) to endure elements in the outdoors. Besides all that, it comes with a central emblem that you can attach anywhere on its body or take off if you want to achieve a plainer look on the wall’s exterior. The vertical locking mail box is available in five different colors that promote an elegant, stunning look for any home office or residence. If you frequently receive a lot of mail including medium to small packages, the MailMasterStoreMore Mailbox might be worth a look. When you look at its design, you might feel there’s no need to install it on a post because the design almost includes the post as a built-in element. However, it is best practice to attach it to a 4*4 post, preferably one that’s cemented to the ground. Otherwise, an adversary can just pick up the entire mail box and go about his/her journey. The mail box’s dimensions are 28-inch H * 6.25-inch W * 13.25-inch D. Its design features faux brick consisting of a rooftop. If you look at the 531700 MailMasterStoreMore Mailbox from a distance, they look a bit like plastic. Several buyers, however, have painted it to give off a look that appears as if it’s a real stone. Another highlight of this mail box is the hidden access door. Buyers also get rear and front access to the MailMasterStoreMore’s rear and front access compartments. Moreover, the heavy-duty poly material is quite durable. It is one of those locking mail boxes that come with a trap door. When the trap door is put in its place, the mail box is equal to the size of a normal mail box, making it a viable solution if you live in an area where space is a big concern. Measuring 18-inch D, 15-inch H and 11.5-inch W, the Oasis Classic Large Mailbox from Architectural Mailboxes is another big mail box that has the official approval from the USPS and Postmaster General. It’s available in more than one color, and is made from solid, high-quality material. Also, it features coated exterior that’s fully powder as well as 16 & 18 gauge galvanized steel. Hardware featuring stainless steel along with other corrosion resistant materials promote durability and aesthetic appeal over an extended period. Additionally, you’d come across rubber seals on this product’s door. These keep the moisture at bay so you don’t have to stress about rain leaks ruining your packages. The locking mail box’s installation is quite straightforward. You can just mount it on a column or a wood post as well as a pilaster. When it comes to security, the mailbox comes with a sturdy tamper-resistant locking system, an internal security baffle, an anti-pry latch reinforcement, and a pry-resistant lock bracket. The only downside is that users need to buy brackets separately for the purpose of post mounting. The mail box is ideal for installation into a wall, column or plaster – the whole outer shroud is a single piece for resisting moisture and other elements. If you regularly get packages and want to prevent thieves from spoofing on your mail, you probably desire a mail box that has space for bigger packages. While this model won’t be accommodating huge boxes, it can definitely hold more than just really small packages such as other security mailboxes. The measurement is 20.8-inch D, 16.8-inch W and 35.5-inch H, which implies there’s plenty of space inside. The Secure Dropbox Parcelwirx Parcel also comes with a safe parcel chute for medium to small packages. Additionally, users can leave the locked area beneath unlocked if they’re expecting a bigger package from their mail carrier. After the postman puts the package inside, he/she can shut the door, and it’ll be locked. What’s really appealing about this box is that it comes with a three-way locking system as well as a re-settable lock of combination, which is one of the most secure measures that exist in locking mail boxes. The box can either be secured on the ground or against a wall. All the hardware needed for installation is included. The lower compartment. Only a few locking mail boxes would allow a user to keep the lower compartment unlocked for their carrier to drop off bigger packages. More appealing features include the re-settable combination lock and the highly-secure three way locking system. Among the entire list, the Mail Boss 7506 and the Oasis Classic Large Mailbox are the best ones officially verified by the USPS. However, others on the list are also well within the governing body’s guidelines but might not have enough space to accommodate all your mail. That said, options like the wall-mounted models are ideal for individuals living in small neighborhoods. It should also be remembered that your homeowner’s association or neighborhood might have rules regarding acceptance of these locking mail box. Check if the rules apply where you live.